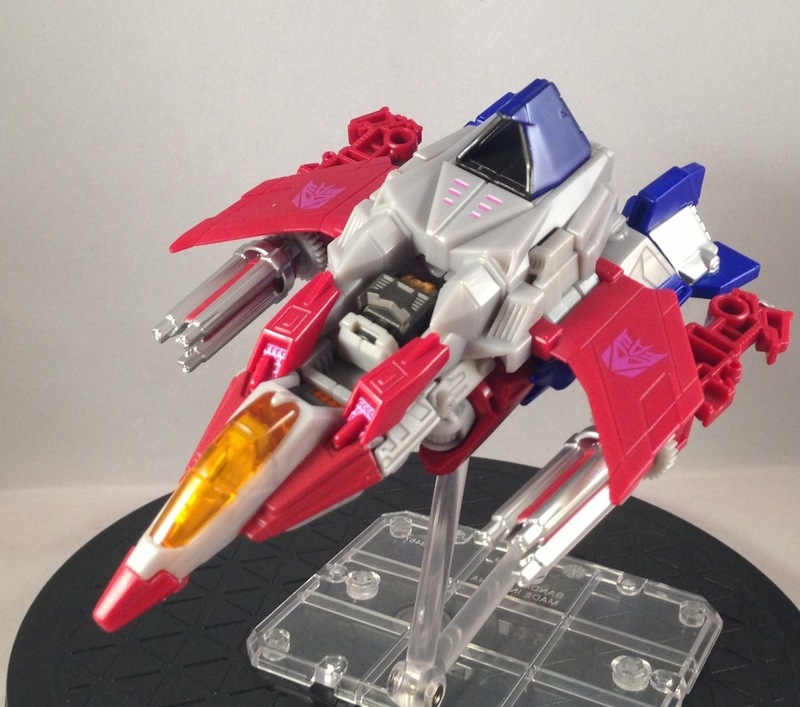 Starscream is one of two original molds for this wave, thus he gets a lot of attention and rightfully so, seems he’s quite excellent! So I suppose I could get another for my IDW shelf too, right? 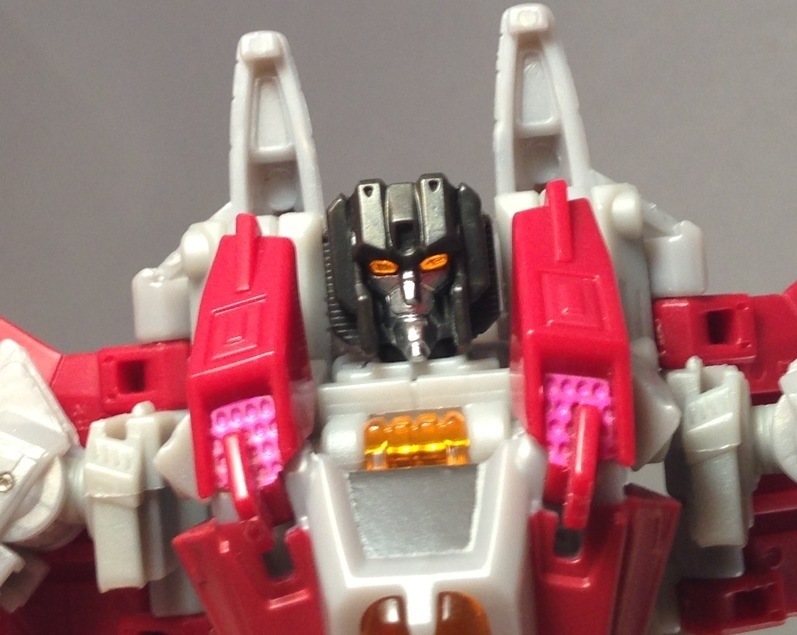 Starscream’s head sculpt is top notch. For one thing, they kept it dark grey, not blue like the Game. I love this. He’s much more G1 looking. But the light piping takes the cake. Check how good this looks! And that’s just with moderate light behind him, in full daylight, they shine super bright. A+ work on this one Hasbro! I don’t have a HUGE issue with this, but it’s something to be aware of. 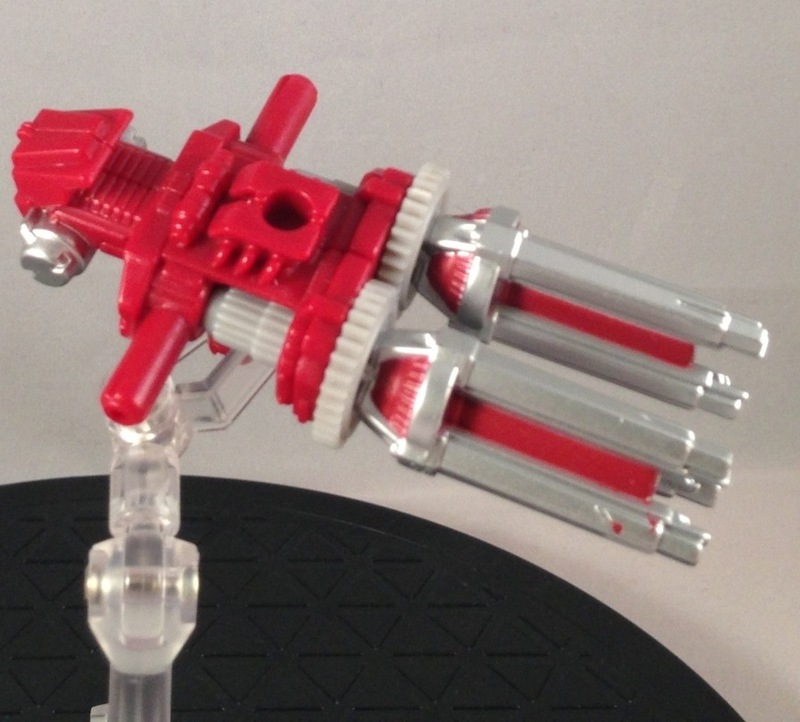 As with the rest of Wave 2, the weapons are all based on in-game weapons from Fall of Cybertron. 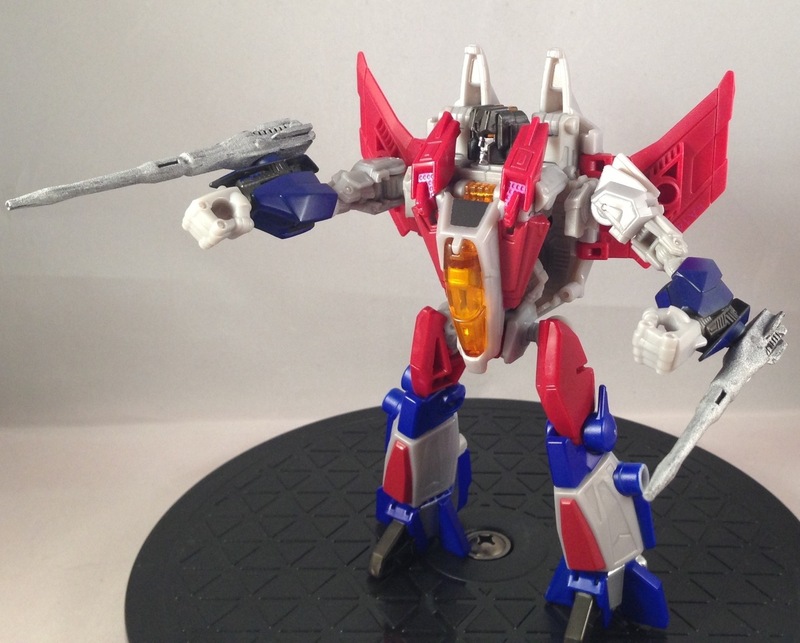 In this case, Starscream gets the Neutron Assault Rifle ( which looks like the old Scrapmaker). All in all, he’s really awesome. 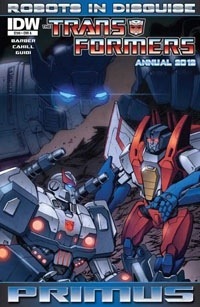 I’m excited for Skywarp as well and I really hope they make Thundercracker too. 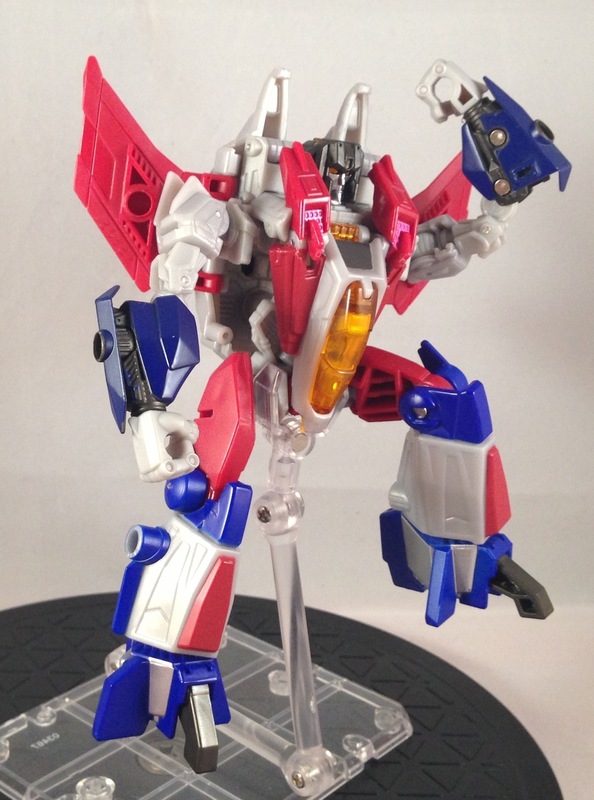 I’d live to have the WfC seekers all together! I’m going to try and finish up the last two of this wave ( I don’t have Kick-back yet) and then I’ll have some non-FOC stuff for a while. I picked him up last week, but he fell prey to having more stuff than I have time to open, transform, photograph and review! 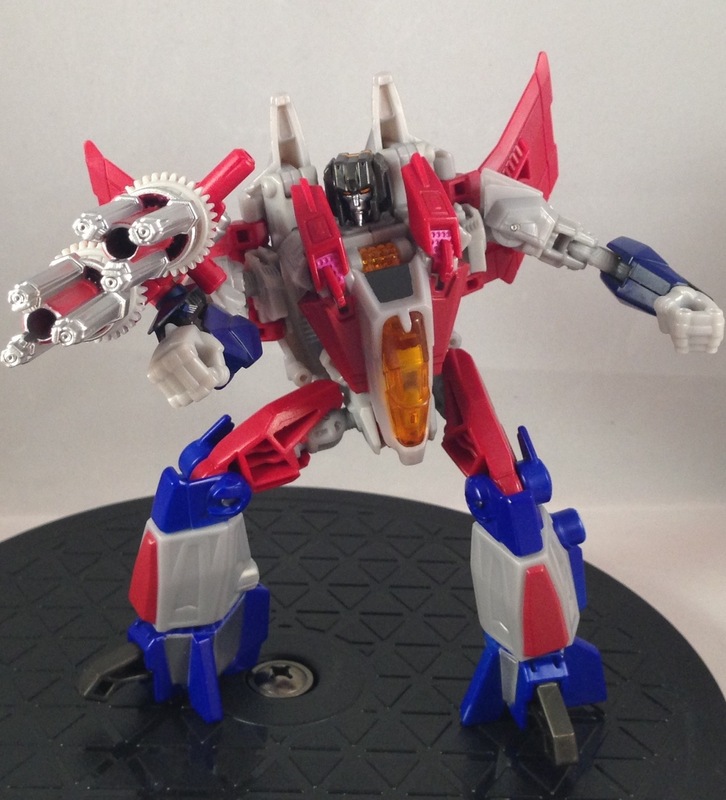 I just hope they release a FoC Thundercracker next. Lol, I know how that goes Flywheels, that’s why I have to play “catch up”. 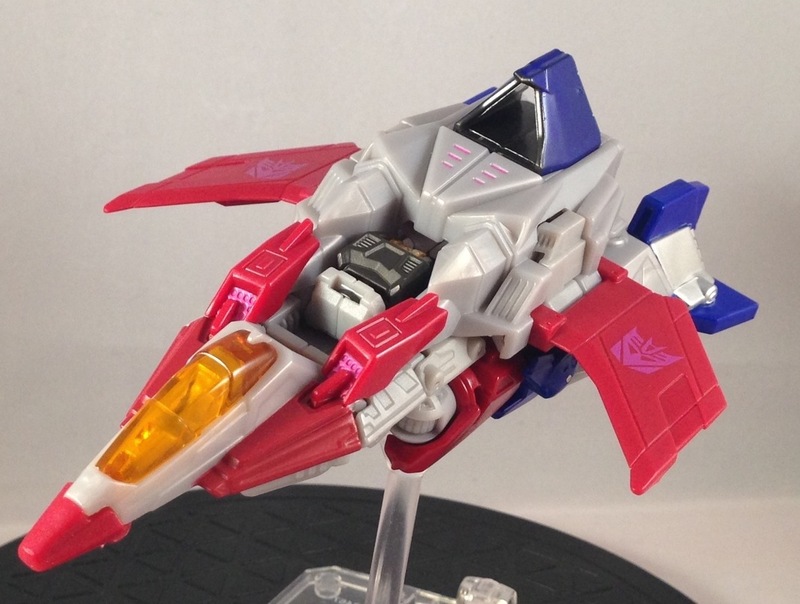 I really hope they do Thundercracker too. 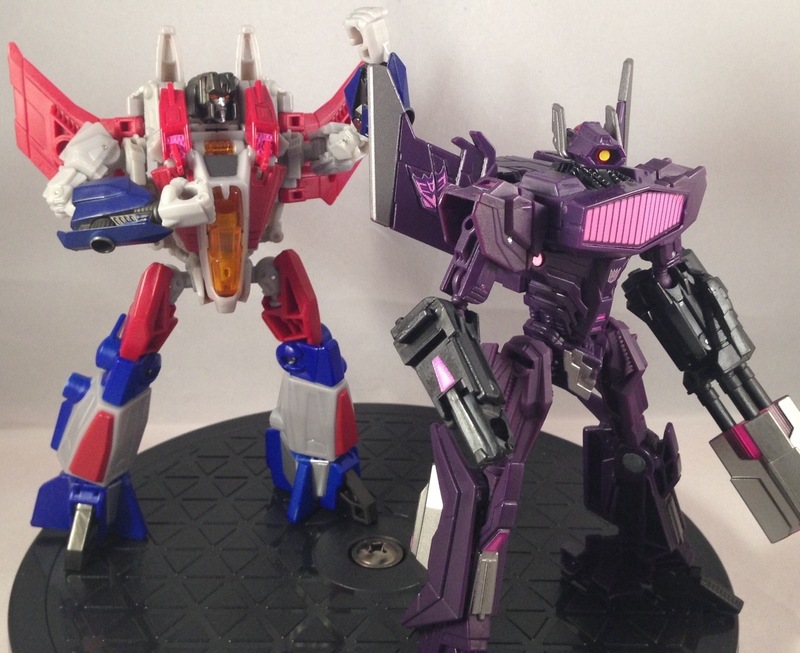 I have Skywarp pre-ordered, so I’m hoping for TC. Awsome. Is this guy out in stores? I believe so, but he was just released, so you may have a hard time finding him. I went the online route. I love this figure, he looks great and literally just is one of those that is fun to play with. Glad I’ve got this one in this small TF collection here. 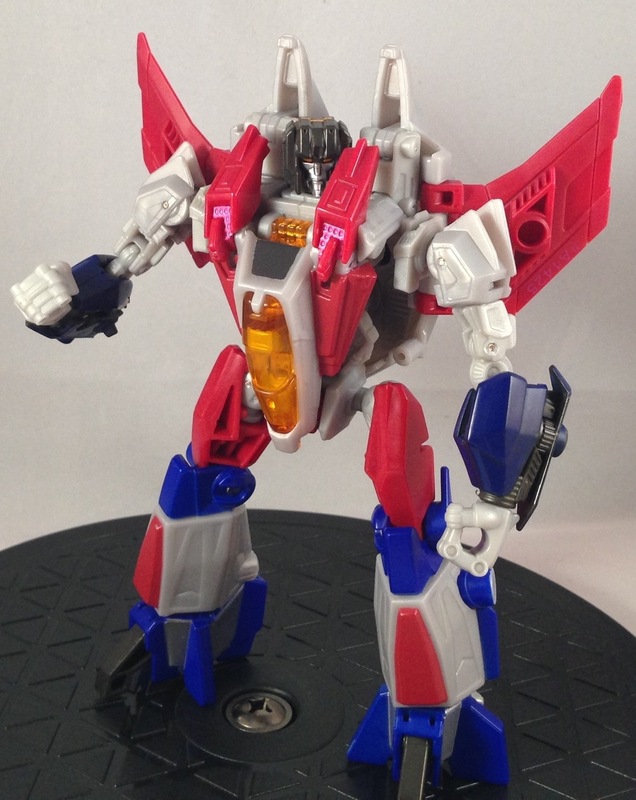 Hasbro really did a great job on their Fall of Cybertron Figures well some of them that is but Starscream was the first one that got my attention out of this entire wave.